Unwin 3 Point Passenger Restraints form a separate static lap belt and retractable shoulder belt. 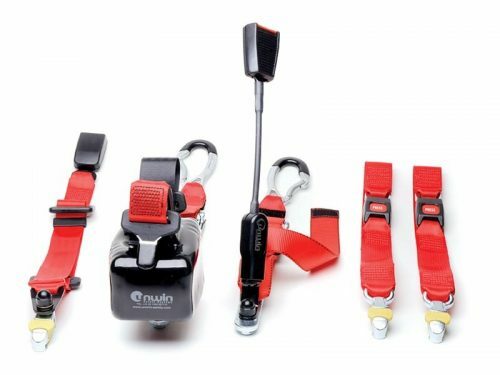 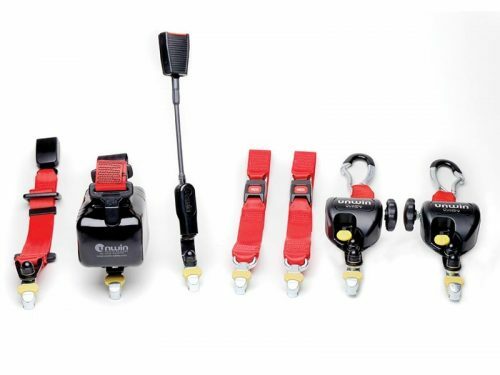 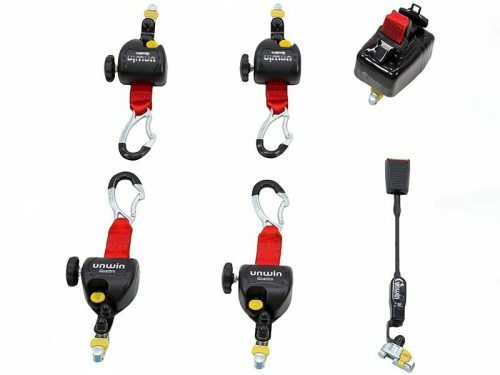 The 3 Point occupant restraint is available as a retractable system or a static system to suit everyone’s needs. 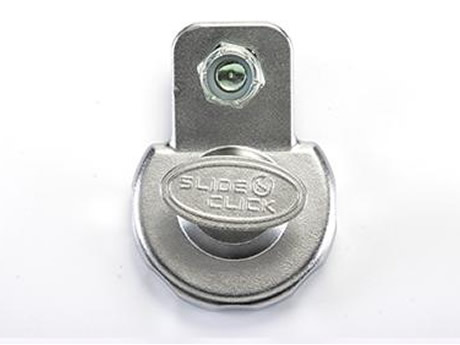 The retractable version is designed with a sleek plastic housing to fit to the side of the vehicle to ensure correct routing geometry and safe securement of the passenger. 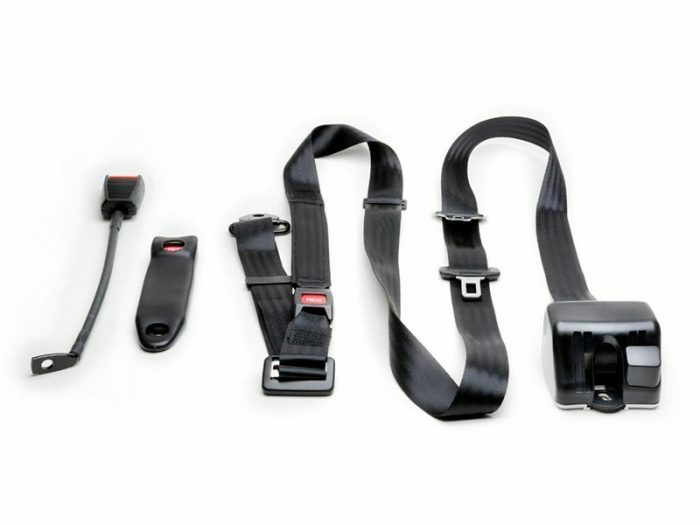 The static version is designed with rail fixing which is simply fitted to the vehicle floor for quick and easy securement of the passenger. 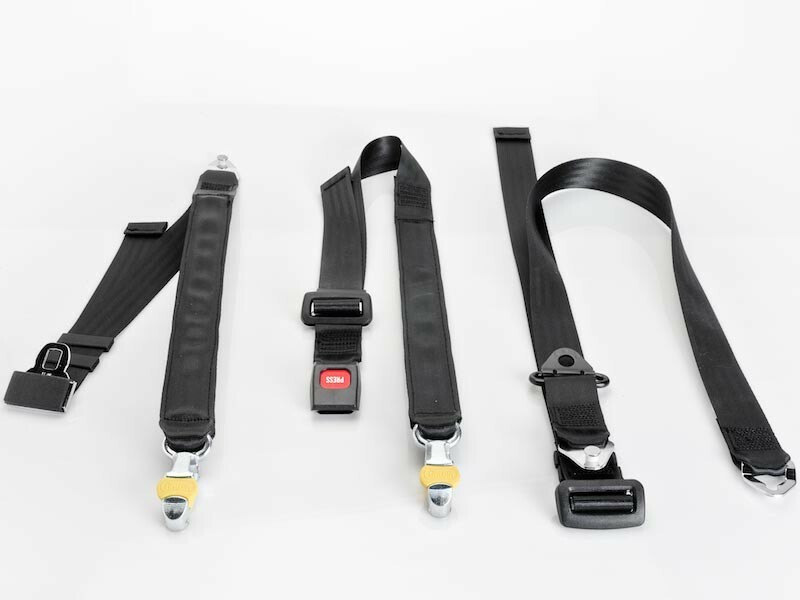 The third point fixing belt is then bolted to the vehicle side to create the shoulder belt.